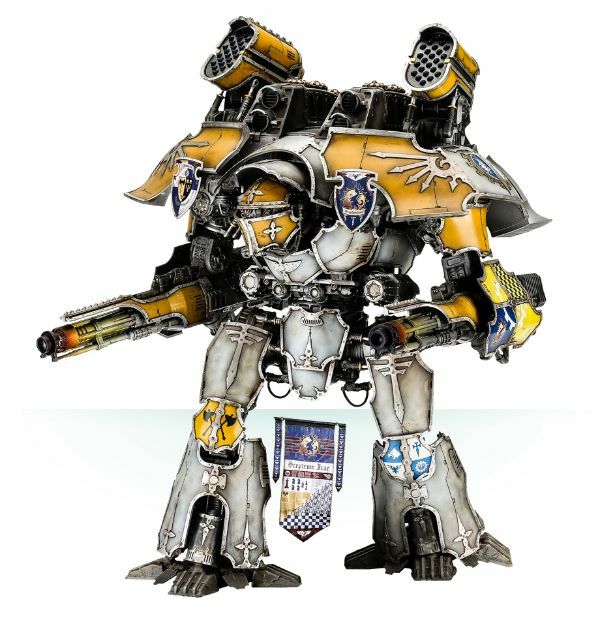 Anyway adepticus titanicus is his next project. 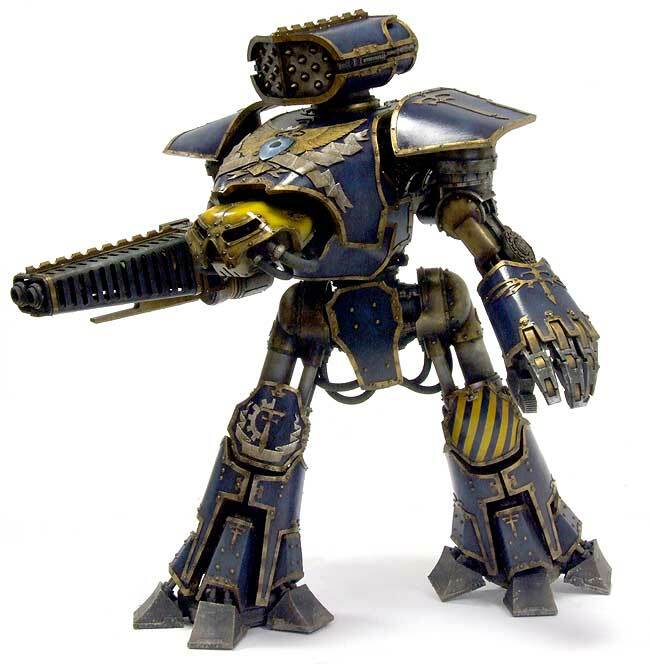 By the sound of things this makes a warlord the size of a contemptor. There’s going to be some terrain in the box inspired by the old cardboard buildings, but this will be plastic, everything else is going to be resin. By the sound of things the focus is going to be getting a decent model range for the HH first. We talked about how hard it is to do all ranges and all unit types in epic, and I think the focus is very much Titans, tanks and flyers! This is due in 2017 and will all be under the forgeworld banner. 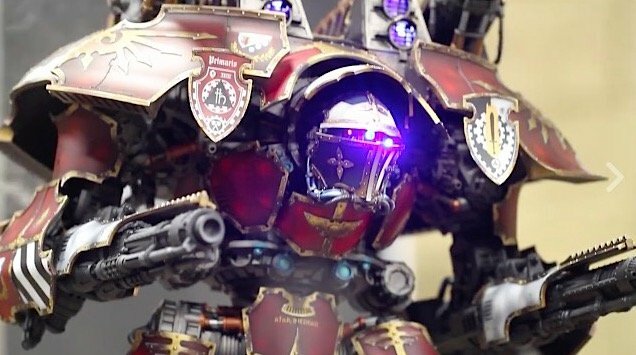 Adeptus Titanicus campaign allows pilots to survive where the Titans might not (ejecting), rules for machine spirits. And now, Adeptus Titancius. As mentioned above, the original play test box is quite the relic and was worth a look. – They’re digging into all previous Epic games for inspiration, but it will be a new rule set. – Expect Titans to have a plasma reactor power tracker to keep track of how much power they have. – Harpoons will be back but nowhere near as ridiculous as they used to be! – Engine war will be a bit of a slugfest, with Titans slowly blasting each other to Atoms, staggering about, weapons missing, systems burnt out, but still able to fight until you smash the legs, pulverise the MIU’s or cause the reactor to go nuclear. – Campaign games are the default mode of play, similar to Necromunda as he described it. With options for competitive and open play. It was mentioned that a typical game would be 1 warlord, 1-2 reavers and 2-3 warhounds. In terms of the rules, he did mention that they’d take on and adapt rules from previous editions only if they made sense and added to the tactical experience. They wouldn’t add them in for the sake of it. He also mentioned that they’re not afraid of a bit of complexity if, again, it made sense. Finally, I’ve just recalled that they’re like to sell hulls without weapons and sell the weapons separately. 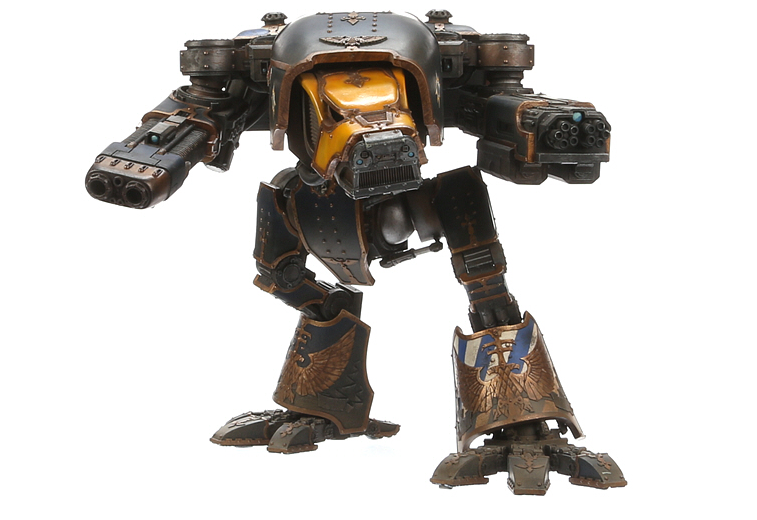 Personally, I think a fully equipped Warlord will be about the same as a fully equipped Leviathan Dreadnought. The plasma tracker was very interesting. Each Titan will have a certain amount of power they generate per turn. They then use the power to move, fire weapons, do damage control and repair voids. There’s currently an overload mechanic whereby you can increase the power they generate to do additional actions. However, overtaxing the reactor carries risks, though he didn’t expand on the risks. This is something that, as he described, was hinted at in the background but something that he’d like to explore within the game. I think ideas are still being developed, but he wanted to give Titan’s their own personalities, for example the close-combat equipped Titan turning into a berserker. The idea being that you try to issue the Titan an order but the Machine Spirit, feeling more than a little rage as a result of doing far too much close combat and not having any rest, starts exerting its influencing on the Princeps! He mentioned that during campaigns, you’ll want to rest Titans as they become mentally burnt out and start developing undesirable personalities. He described the default game as Campaign games and used Necromunda as an example – you have a roster and for a game, you choose entries from your roster. Between games, you can apply for refits and your crews gain experience. Ejecting heads were mooted as an example of the Princeps and Moderatii being able to survive the destruction of their Titan. He described that, similar to Age of Sigmar, they’re also planning to have an open play and competitive play option as well for those who just want to plop down some Titans and just have at it. He really wants to codify Titans. He’s currently been scouring archives and has got a lot of material including Jes Goodwin’s ancient sketches. I asked about Banelord Titans and vehicles. Again, it’s all about popularity. However, he is writing the rules engine so that they are able to add in vehicles or infantry without requiring a whole new set of rules to be written. He described the jarring effect of Titans and Infantry needing two sets of rules in previous games and it’s something that he definitely wants to avoid. I had a chat with Daren Parrwood about all things big and bi-pedal. Quite cryptic in places, but he did say that all Adeptus Titanicus models are being designed in 40k scale then downsized for the game. Strong hint that the models released for just that game will eventually find their way into the 30k/40k world. ~A lot of these concepts were present in the original Adeptus Titanicus, so it is great to see them bring it back with a vengeance! I can hardly wait.